Though not quite as often as the most expensive areas, we are also occasionally asked which cities are the most affordable (least expensive). 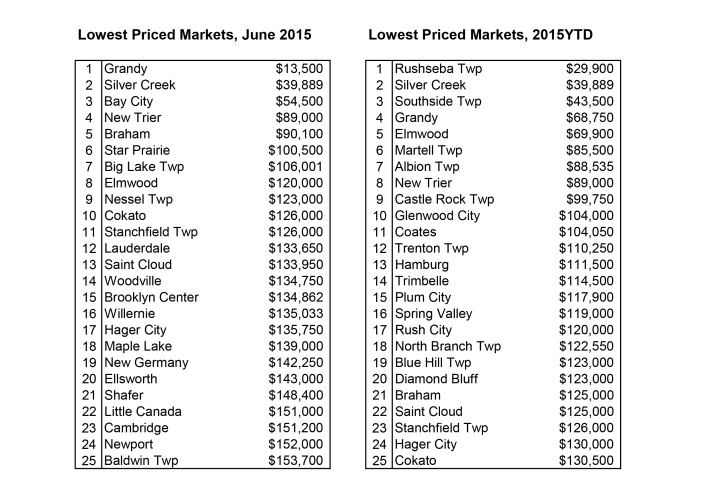 Below are tables showing the 25 lowest priced markets in the region. The top two tables rank all areas, regardless of market size. The bottom two tables only show areas with a certain volume of sales. 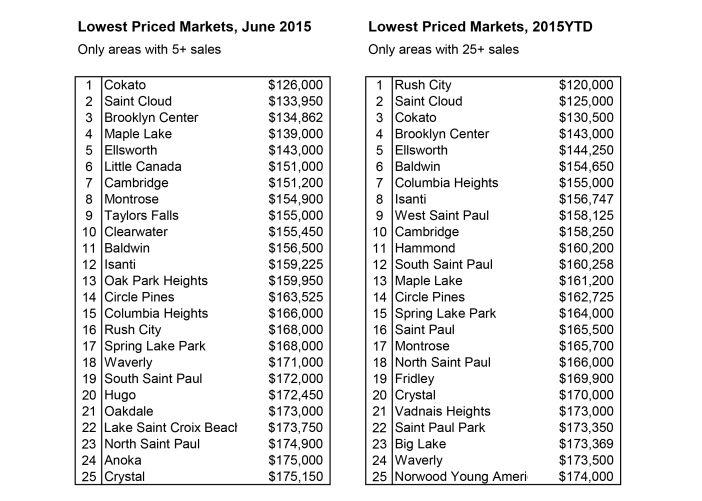 The left table uses only June 2015 sales, while the table to the right uses 2015 YTD data (through June). The measure used is still median sales price. Even more data to the people!